Is something weird going on with your tongue? If you have noticed a change in the color or texture of your tongue, it could be trying to tell you something about your oral health. • Pale color. A tongue that looks pale in color may indicate that you have an iron deficiency, so if you are feeling fatigued, this could be confirmation of a problem. A blood test could diagnose the problem definitively. • Bright red. Your tongue needs to stay a healthy pink color, but if it looks bright red, this could signal a deficiency of vitamin B12, folic acid, or niacin. • White coating. A white coating on your tongue, either all over or in patches, could indicate an infection. The most common is a bacterial overgrowth known as thrush. • Burning sensation. 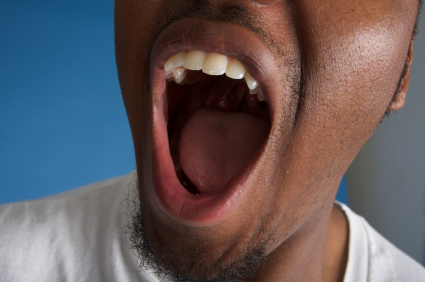 If your tongue feels like it is burning or stinging, you could be dealing with burning mouth syndrome. This condition isn't well understood, but is thought to be the result of hormonal changes, nutritional problems, infection, or dry mouth. • Sore patches. Does your tongue feel sore in certain areas? If you have ulcers or sores on your tongue, these painful lesions can be the sign of a problem, the most serious of which is oral cancer. This problem should definitely be checked out as soon as possible. • Black and hairy. If your tongue is black and appears furry, you could be dealing with a condition known as "black hairy tongue." This can be caused when the papillae on the tongue grow and fail to shed like normal. If you are concerned about the color, appearance, or feeling of your tongue, or if you have experienced a sudden change, make sure you contact our office. Most likely you'll have nothing to worry about, but it is better to be safe than sorry.